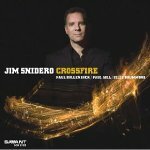 Jim Snidero is considered to be one of the top alto saxophonists and authors in jazz today. A resident of New York City for over 20 years, he has made numerous recordings as a leader, and has performed and/or recorded with many important jazz artists. 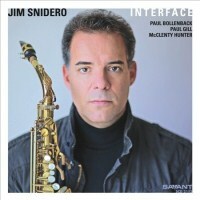 Snidero is on the faculty at the New School University, is an active jazz clinician for the Selmer Company, and author of the best selling 3 series of books entitled Jazz Conception, Easy and Intermediate Jazz Conception, published by Advance Music. 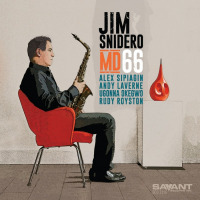 Jim Snidero’s recordings have received critical acclaim by leading jazz critics. Several have received 4 stars in Downbeat Magazine, in which critics hailed Snidero as “a master musician” and “alto sax virtuoso”. ‘Strings’- which he both composed and arranged, was released on Milestone Records in March 2003, his first recording for a major label. Jazziz magazine called it “a masterful blend of composition, arranging and improvisation”, while Swing Journal, Japan’s #1 jazz magazine, stated “this is miraculously wonderful jazz... a masterpiece”. 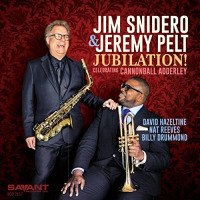 Celebrated jazz critic and author Gary Giddens, featured on Ken Burns PBS Jazz Series, said Snidero has “ a wonderfully aggressive broadsword of a sound, recalling Bird in its sheer jubilance” (Village Voice), while the New York Times called his solos ”dazzling”. His second recording on Milestone was entitled “Close up” , which features tenor great Eric Alexander. 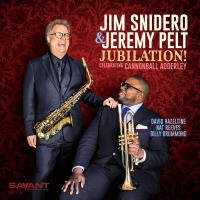 Snidero is also listed in the Encyclopedia of Jazz and nearly every guide to jazz cd’s, including the Penguin Guide, which called him “ a talented musician and a passionate musical advocate...a genuinely significant figure in jazz composition”. As a side man, he has worked with some of the biggest names in both jazz and rock. He was in Frank Sinatra’s orchestra for 4 years, including the recording “Duets Two”. He was a member of the Downbeat poll winning Akiyoshi Jazz Orchestra for 20 years, and toured extensively with The Mingus Big Band. Other jazz credits include Jack Mcduff, Frank Wess, Tony Bennett, Eddie Palmiari, Maria Schneider, Conrad Herwig, Brian Lynch, Walt Weiskopf, Joe Magnarelli and many others. In the rock field he has performed with Sting, Billy Joel, Elton John, Ricky Martin, and others. Jim Snidero also has a long and varied experience as both an educator and author. He attended the University of North Texas, and has been on the faculty of the New School University since 1996. He has given literally hundreds of jazz clinics on style and improvisation through out the US, Europe and Asia, many of which being sponsored by the Selmer Company. He is also sponsored by Rico reeds. Snidero has authored two best selling jazz etude series, Jazz Conception (17 books) and Easy Jazz Conception (15 books). For both style and improvisation, they are used in high schools, universities and conservatories through out the world, including major programs such as Berklee College, Julliard Conservatory, U. of North Texas and New School University. They have been translated into both Japanese and German. All About Jazz musician pages are maintained by musicians, publicists and trusted members like you. Interested? Tell us why you would like to improve the Jim Snidero musician page.